Metra is set to spend $29.4 million on renovating and expanding its carriage and locomotive rehabilitation workshops. Improvement works will take place at both the 49th Street Coach Shop and the 47th Street Diesel Shop. This is the main mechanical yard for the Rock Island District line as well as the site for the Chicago operator’s main car rehabilitation programme and where its MP36 locomotive rehabilitation program is housed. Scheduled to take around two years to complete, Metra says that the project will boost the number of carriages it can renovate from 35 to 60 per year. At the 49th Street Coach Shop, the facility’s loading dock, storage and carriage wheel truck rebuild area will all be upgraded and training facilities will be added. Work at the 47th Street facility includes a reconfiguration of the loading dock area, adding an enclosed crane to it and rebuilding the materials storage area. Opened in 1947, the 47th/49th Street facility predates Metra and was opened by the Chicago, Rock Island and Pacific Railroad. It has not undergone significant improvement since. The contract for the work was awarded to Chicago-based firm F.H. Paschen, S.N. Nielsen & Associates, L.L.C. CEO Jim Derwinski said: “By expanding and modernising these facilities, we’ll be able to greatly increase the number of railcars we rehab each year. 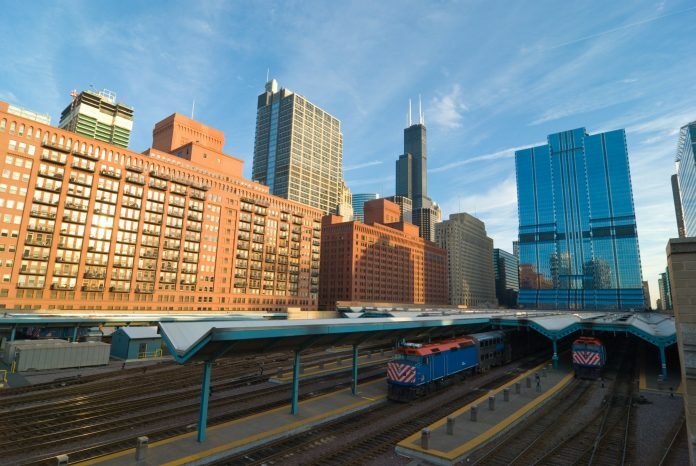 The investment was approved by the Metra board of directors on March 21.